FLICK WITH EASE THROUGH THE TERRAIN. 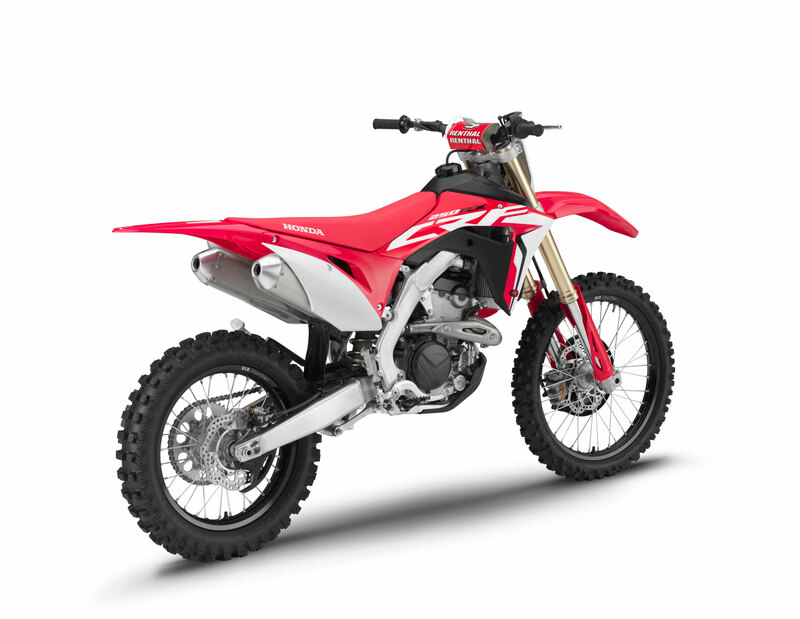 Based on Honda’s successful 250cc motocrosser, the all-new CRF250RX is specially designed for closed-course off-road competition. Joining the CRF450RX in the quest for podiums in series like GNCC and WORCS, this off-road weapon features all of the same performance-driven features as the CRF250R, but adds off-road-specific features like a larger fuel tank, aluminum sidestand, and 18-inch rear wheel. With a 2mm smaller venturi designed to speed up airflow, the CRF250RX’s new throttle body really reaps benefits at low engine operating speeds. You get power and snap, right now. The CRF250RX’s valves don’t just have impressive lift, the valves themselves are large-diameter too—33mm intakes and 26mm exhausts. Combined with the high lift, the twin-cam CRF250RX flows a lot more, especially at high revs when you’re wicking it up. 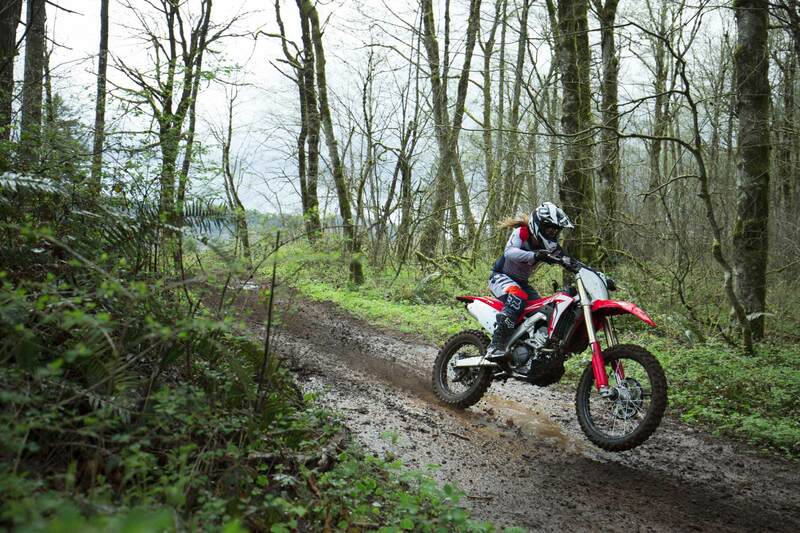 For longer enduro loops, the CRF250RX features a bigger fuel tank that holds a full 2.25 gallons. 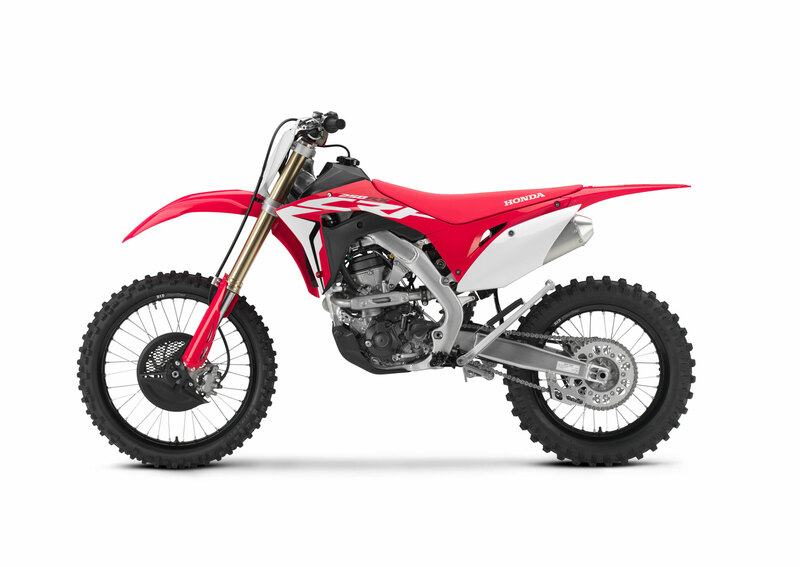 The CRF250RX’s 79mm bore and short 50.9mm stroke let our engineers create a high-revving engine with plenty of room for large valves. The engine breaths and revs—the two keys to making power in the enduro world. 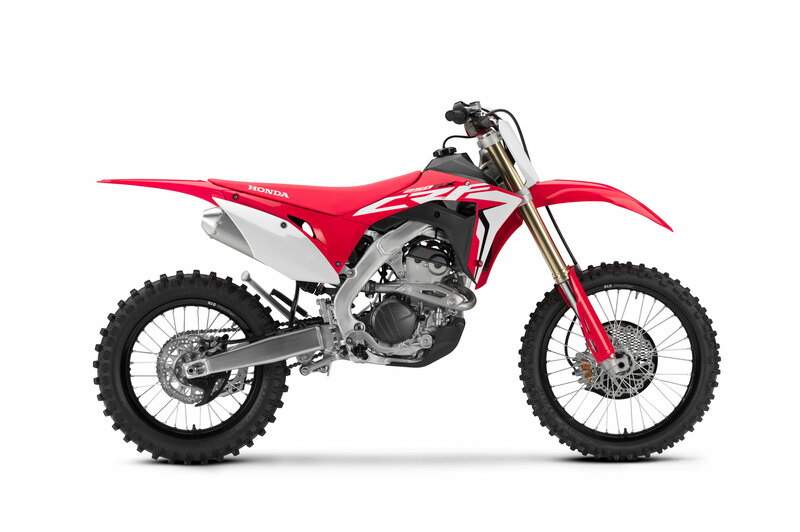 The CRF250RX’s dual-exhaust system is light, compact, and positioned close and low in the frame to take weight off the rear end and bring more mass to the bike’s center for improved handling. It also allows for more airflow, and that equals added horsepower. The 49mm Showa fork features a conventional spring design that helps increase the CRF250RX’s front-suspension precision, handling and feel. The 39mm piston diameter and 25mm rod diameter guarantee a plush feel and supple action. 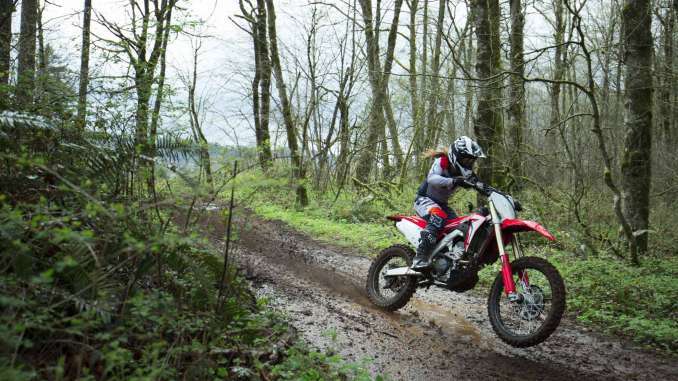 The CRF250RX’s large front-brake disc measures a whopping 260mm. You get great brake feel and a pattern that cuts down on weight. Front and rear brake-disc guards are part of the package too.